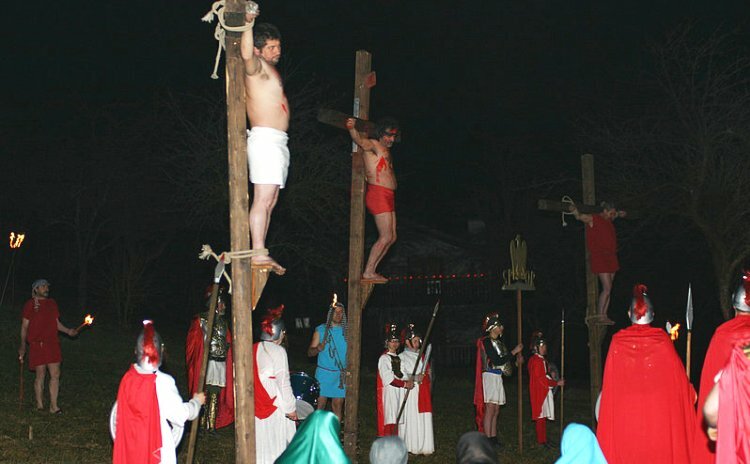 30-31 January. 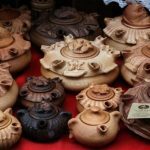 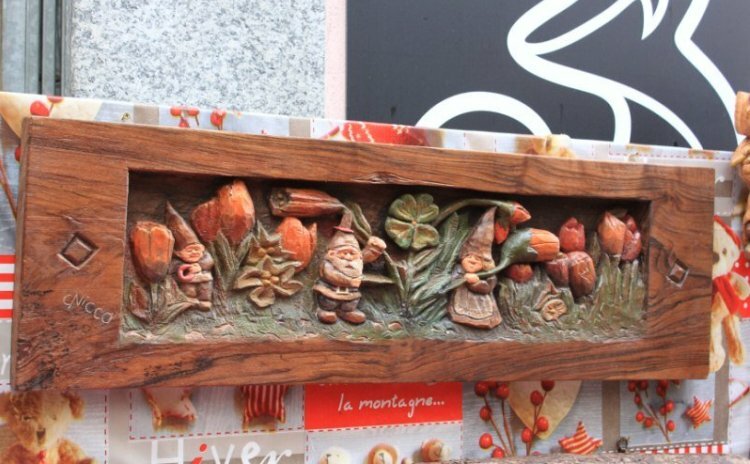 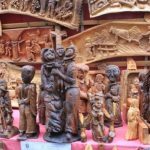 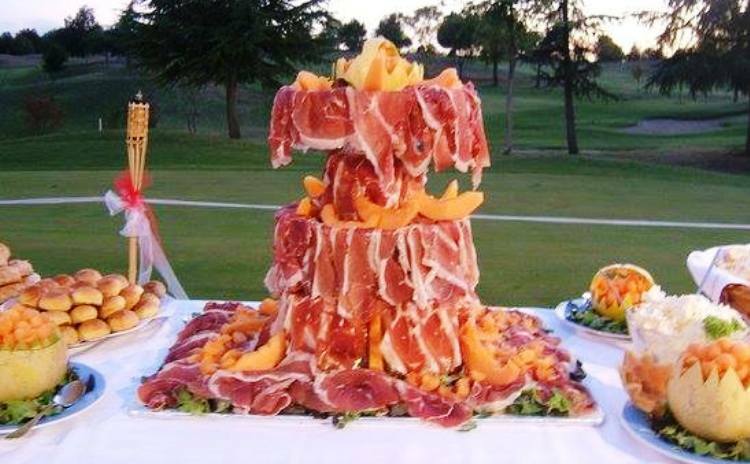 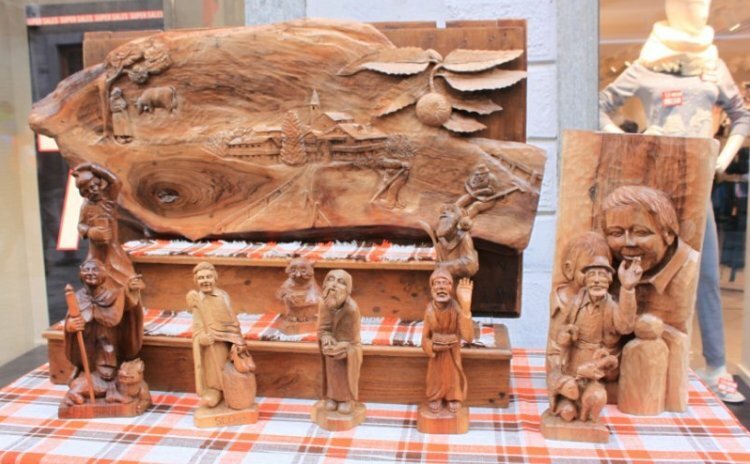 Wooden crafts, soapstone sculptures, folklore, food and wine. 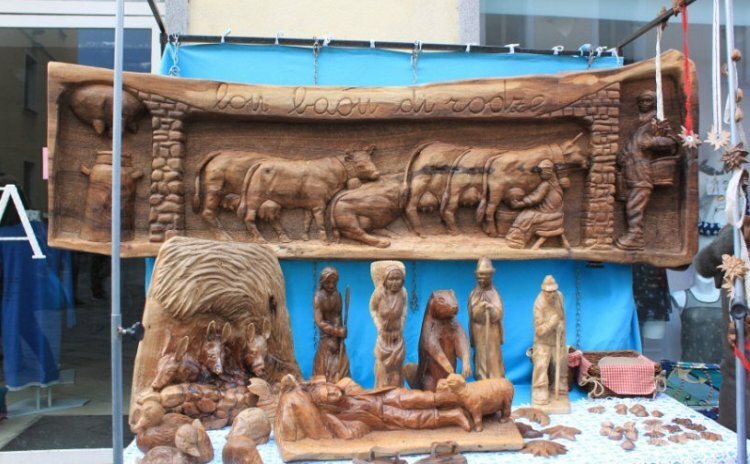 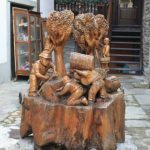 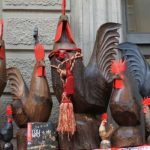 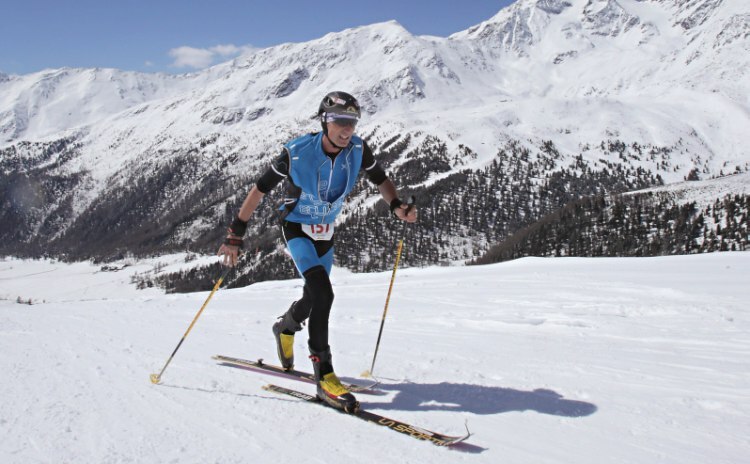 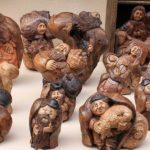 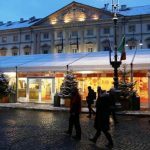 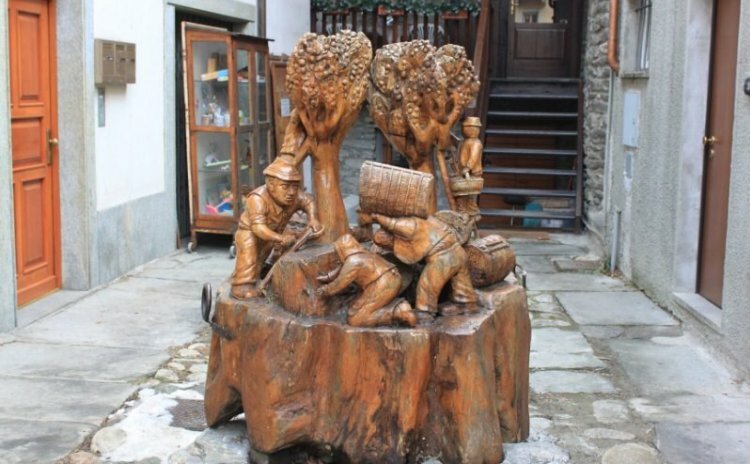 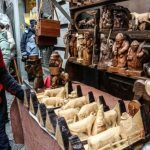 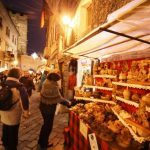 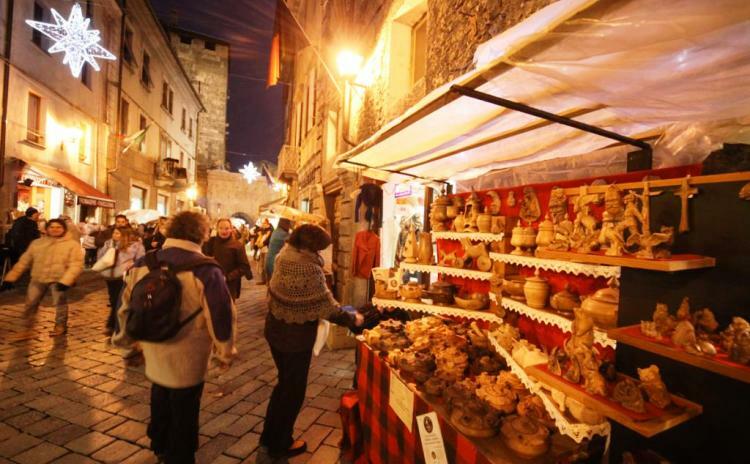 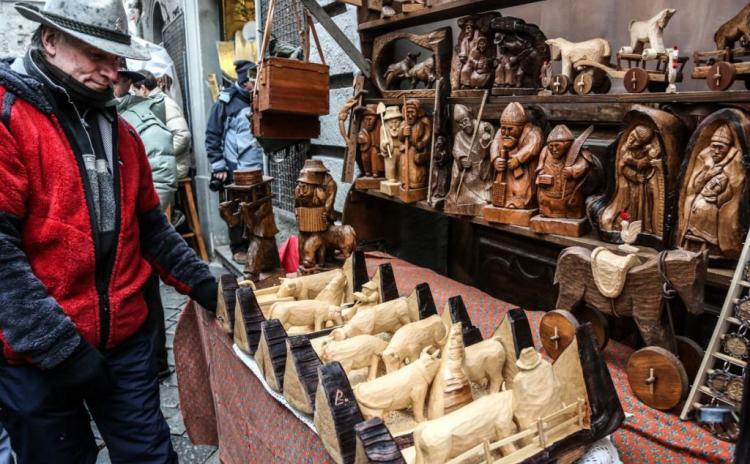 On January 30 and January 31, 2019, the old town of Aosta comes alive for the annual Sant’Orso Fair, the event that has been showcasing Aosta Valley’s artisan tradition for over 1,000 years – so much so that this year’s edition is the 1019th! 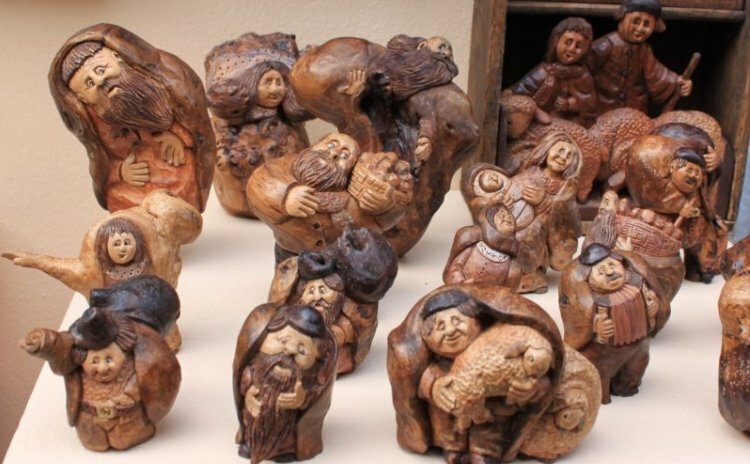 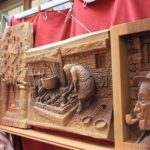 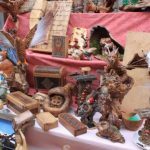 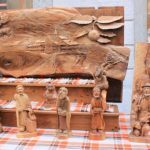 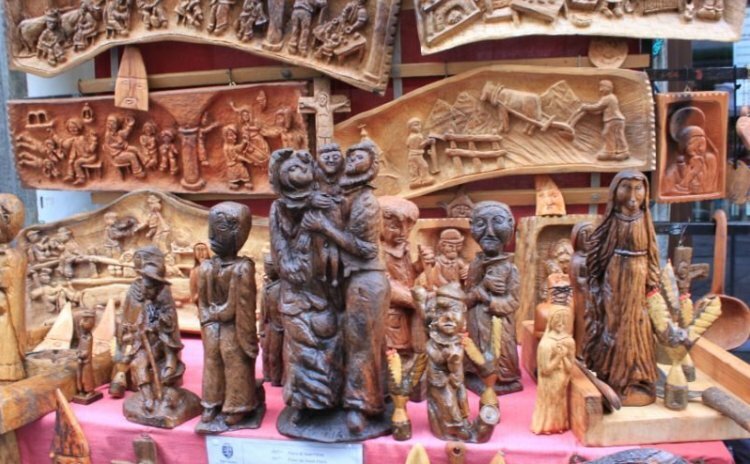 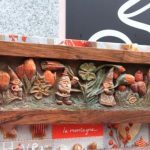 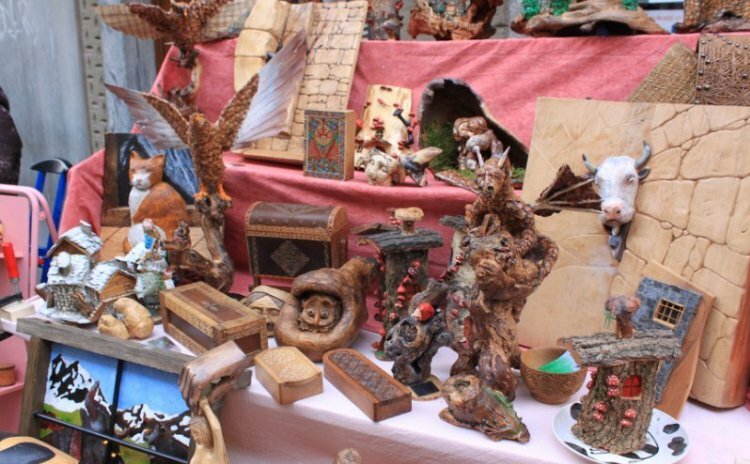 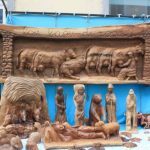 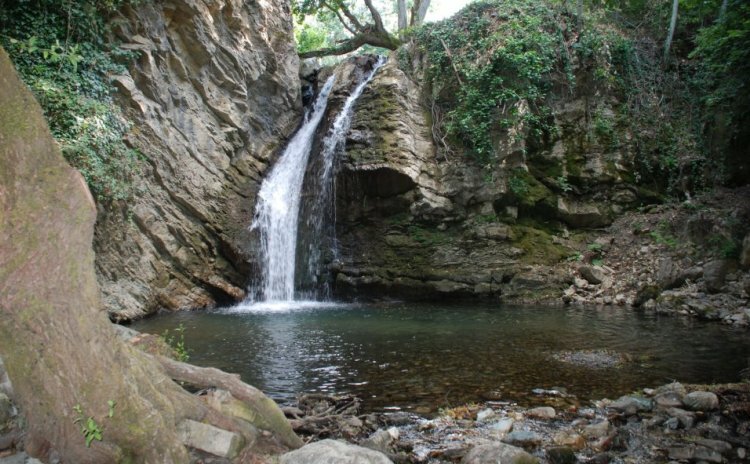 The Sant’Orso Fair gives visitors the opportunity to get in touch with local artisan talents who display their sculptures, carvings and other works made of soapstone, iron, copper, ceramics, glass and textiles. 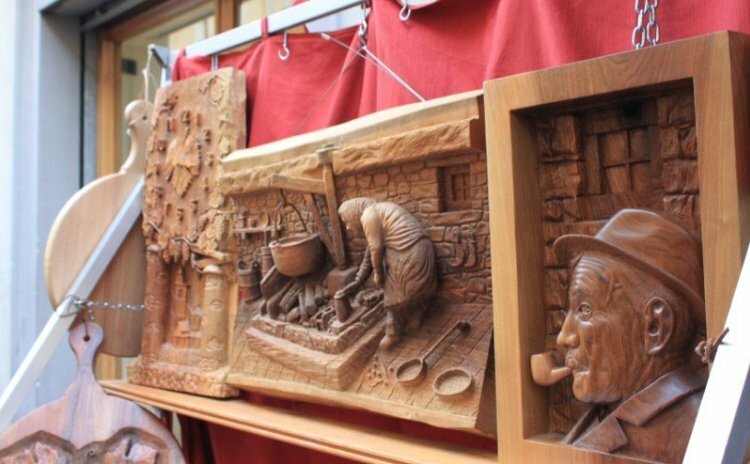 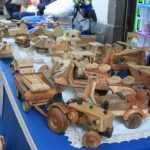 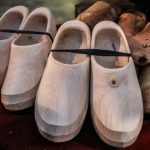 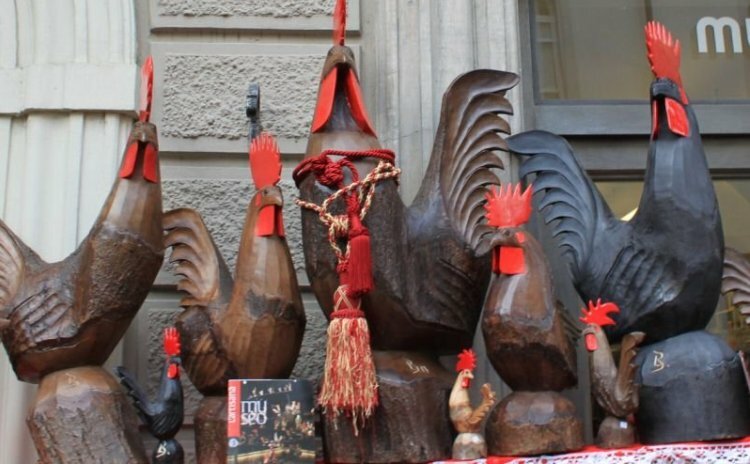 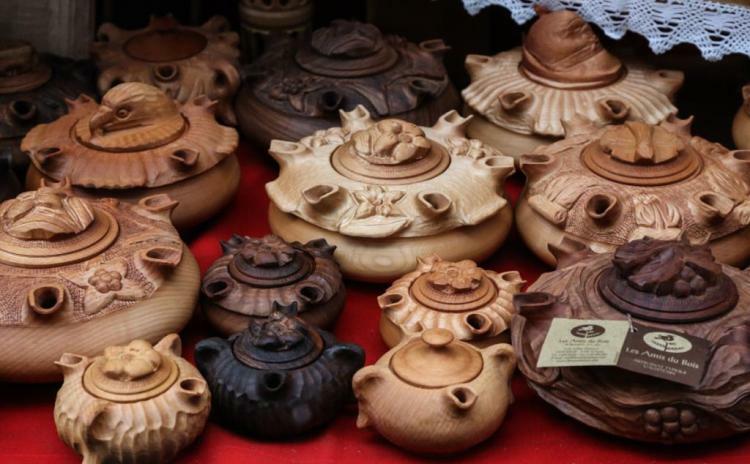 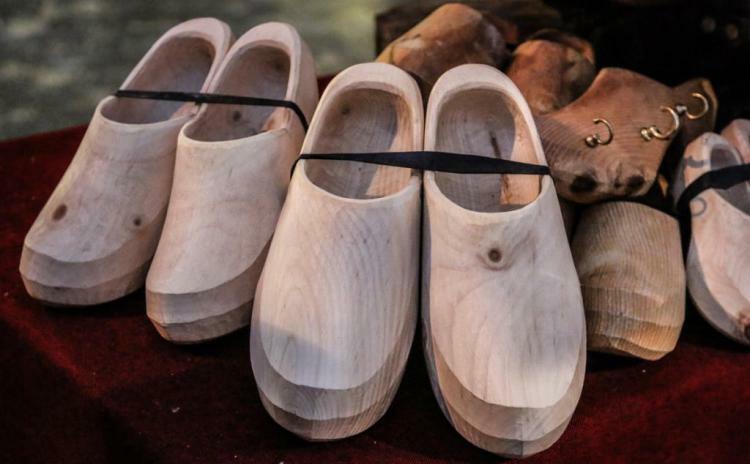 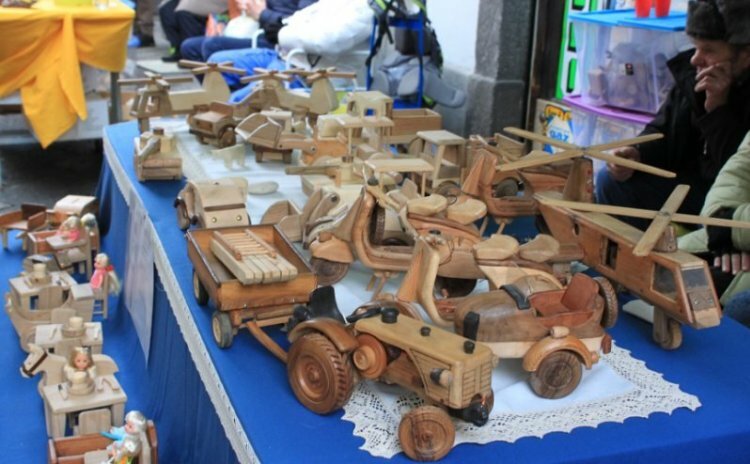 Symbols and objects exhibited at the Fair’s market include: the Sabots (traditional wooden shoes), the “Galletto” (cockerel), “Tatà” toys, Groles and Friendship Cups, furniture, furnishings, clothing, rakes, baskets, barrels, and so much more. 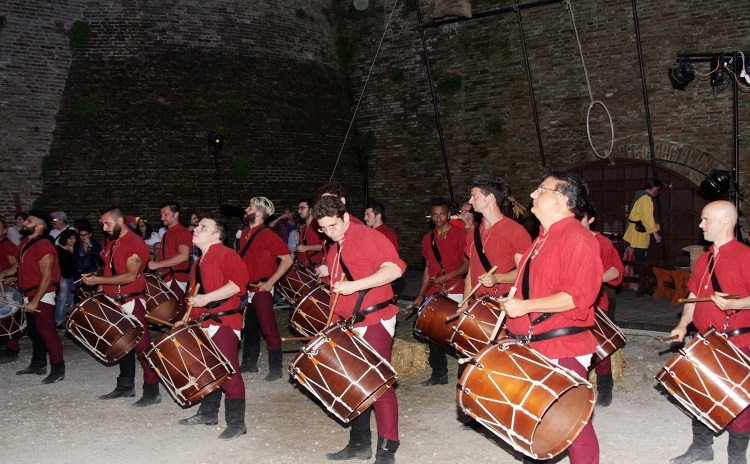 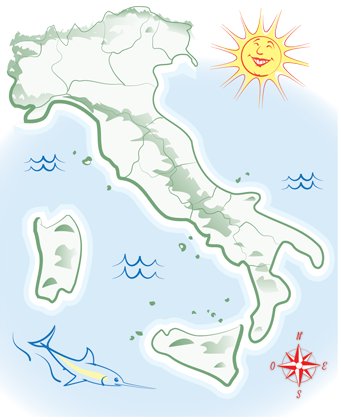 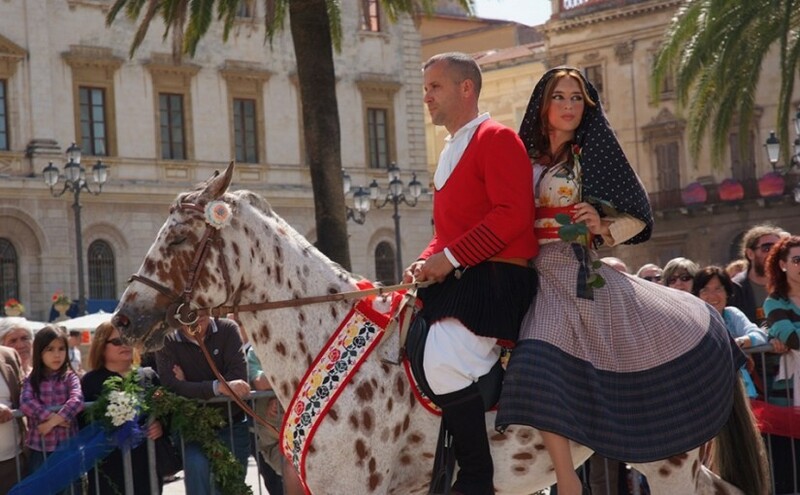 The Sant’Orso Fair also means great music, folklore, and delicious food and wine. 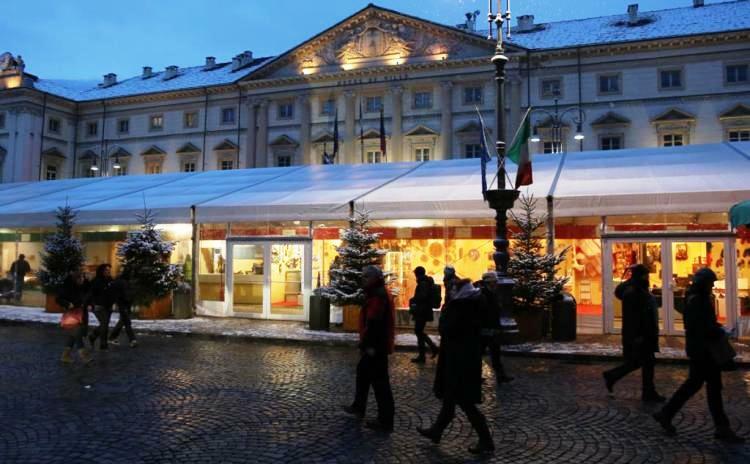 In the Eno-gastronomy Pavilion, local companies and farms sell Aosta Valley delicacies, such as cheeses, meats, salumi, honey, and, obviously, wines and liqueurs.